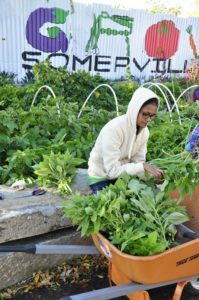 The goal of Groundwork Somerville’s World Crops project is to increase the cultural variety and relevance of produce available to our community members, primarily through the Somerville Mobile Farmers Market. With support from the generous Whole Cities Foundation, our Green Team is conducting surveys, convening community conversations, as well as other methods of outreach to better understand what our community members would like to see at their market. We will use this information to build our crop plan for South St Farm. We are also recruiting three mentor growers to help teach our Green Team about the best practices of growing these crops. Please join us in these efforts! Encourage your friends, neighbors, church community and/or constituents you serve in Somerville to fill our these surveys. 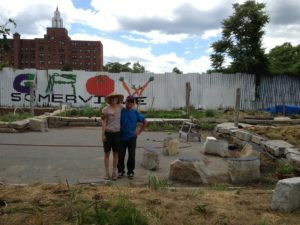 If you would like to get involved, or for more information, please contact Jess at jess@groundworksomerville.org.